When you’re heading on holiday to Abu Dhabi, you want to book a hotel that can really add that extra special something to your trip. Well, no need to look any further, because the Al Seef Resort & Spa by Andalus is most definitely the place to be. This family-friendly hotel is a haven of relaxation nestled among the hustle and bustle of the city, offering a mix of contemporary features with ancient charm that will leave you feeling like you really are in a home away from home. The serviced suites are perfect whether you’re travelling alone, in a couple or with the entire family in tow. Almost anything that you could imagine is available on-site at the resort, including top-quality dining options, entertainment and fantastic shopping options in Mamsha Al Seef and the Al Seef Village Mall. In addition, the resort is surrounded by some of the city’s top landmarks, including Khalifa Park and the Sheikh Zayed Grand Mosque. 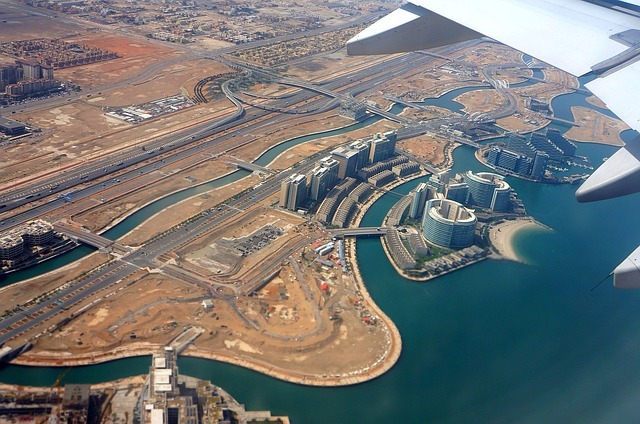 You’re also not far from Abu Dhabi International Airport, which is just a 20-minute drive away. If you fancy exploring the local area, you can also visit Mangrove National Park, Umm Al Emarat Park and Ferrari World Abu Dhabi, all of which are easily reached from the resort. In fact, there’s so much to see and do nearby that you’ll struggle to fit it all in. Luckily though, after busy days exploring and immersing yourself in the culture of this stunning destination, you can head back to the resort and kick back and relax in luxury. You can book anything from a one bedroom suite up to the Andalus royal suites, which include three bedrooms, French balconies with mesmerising views and a personal butler for the duration of your stay.